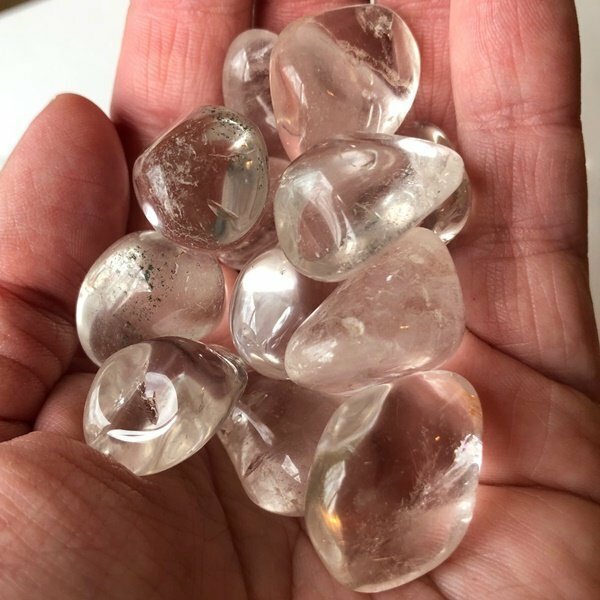 Nice sized Clear Quartz tumbled crystal pieces! 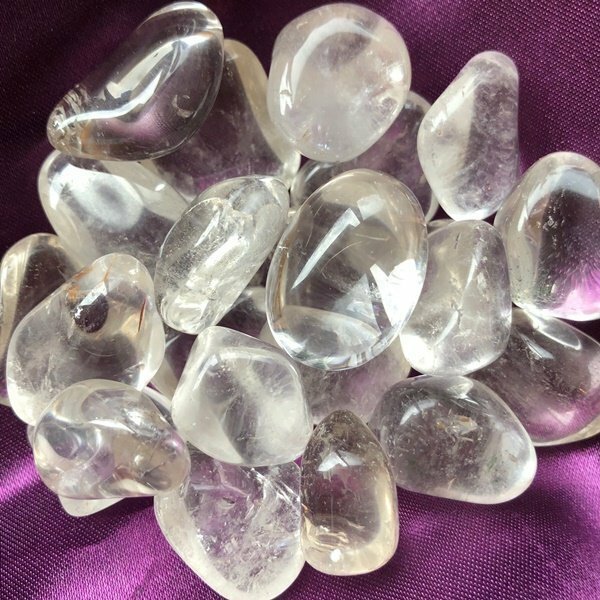 The Quartz is an excellent pocket or purse stone, for creating grids, or sharing with friends who are new to crystals. Clear Quartz transmits Pure Divine Light. It is an excellent choice for clearing and general healing on all levels, including clearing the aura and all chakra’s. 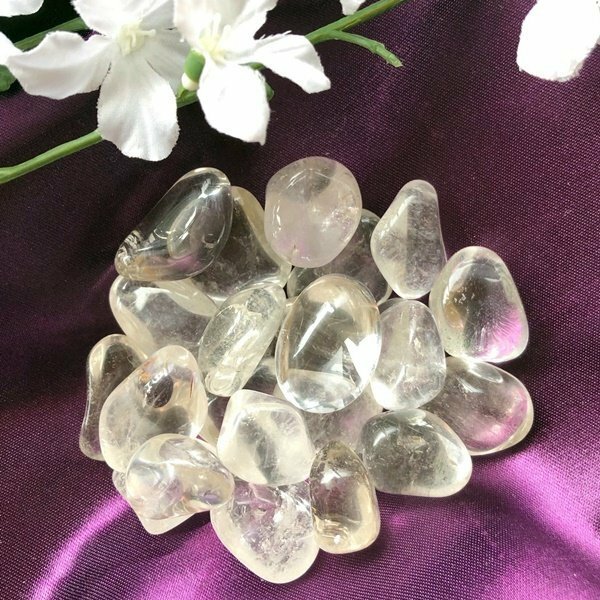 Clear Quartz will aid in heightening your intuition and perceptions. Quartz will amplify other stones, thoughts, intentions. This is a great crystal for meditation. Pieces are around 1″ in size.